Don't miss the latest happenings out of Cervinia - Breuil, including new lifts, terrain expansions, weather, photo galleries, infographics and current events skiers and mountain travelers should know about. Stay up-to-date on Cervinia - Breuil news and events by clicking on articles from the list below or page through to see coverage from the entire ski season. Italy's Cervinia ski area will aim to offer 1,087m of skiable vertical between Europe's highest lift above Zermatt in Switzerland at 3899m down to Laghi Cime Bianche at 2812m when it opens for its summer ski season from June 23rd to September 2nd, subject to conditions. 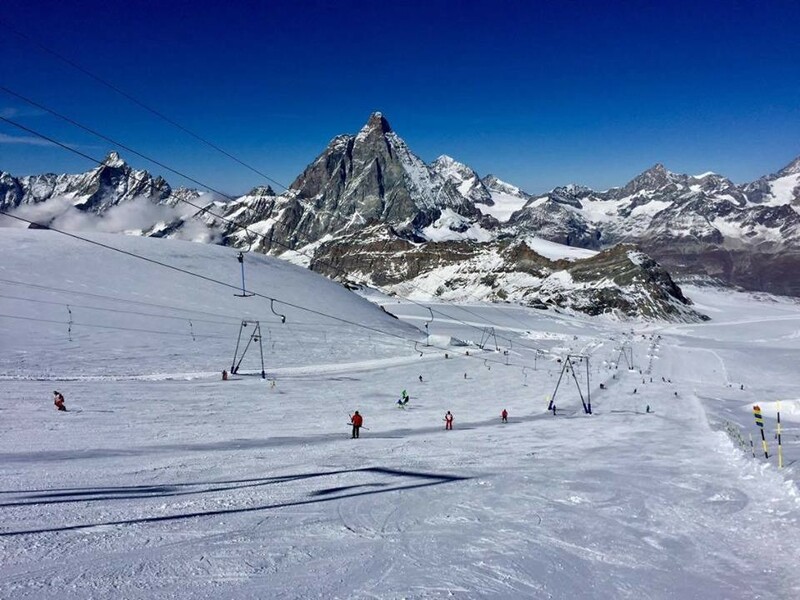 Cervinia ski resort, which shares its summer ski area with Zermatt, has re-opened for summer snow sports and with perfect timing received five centimetres (two inches) of fresh snow on Saturday, 12th of July, a week after re-opening. The new state-of-the-art cable car tansports skiers from 2,816m to 3,458m. Travel from London to ski resorts in France, Austria, Italy, and Switzerland; Rail Europe specialises in tickets and passes for rail travel around Europe. Cervinia, Italy is named cheapest in the "World's Top Ski Resorts" category, while Romania's Poiana Brasov leads in Europe's "Best Value" budget resorts. The Italian resort of Cervinia has expanded its ski area this winter, with two new black runs and a special area for children and beginners. Get Snow Reports, Powder Alerts & Powder Forecasts from Cervinia - Breuil straight to your inbox!